27 Cadoc Street, Cambuslang, Glasgow. G72 8LH.Tel: 01416414849. 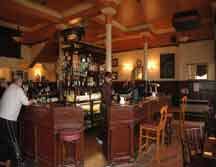 This old pub has some great features inside, the ceilings are wonderful and the old bar and gantry is still intact. Mr T L Carrigan belonged to one of the oldest families in the Trade in Cambuslang and succeeded his father in the business. 1958. 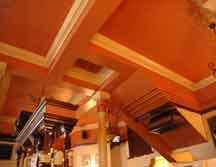 The ceilings are a work of art. Interior view of the bar and gantry. 2005. 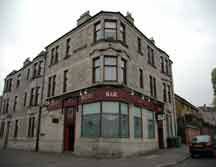 Carrigan’s was formerly known as The Kirkhill Bar. A View of the fireplace. Cadoc Street, Kirkhill is named after the Patron Saint of Cambuslang.